I recognize, at the center, rumpled, the strange mother of Karl Polanyi, Cecilia Wohl. 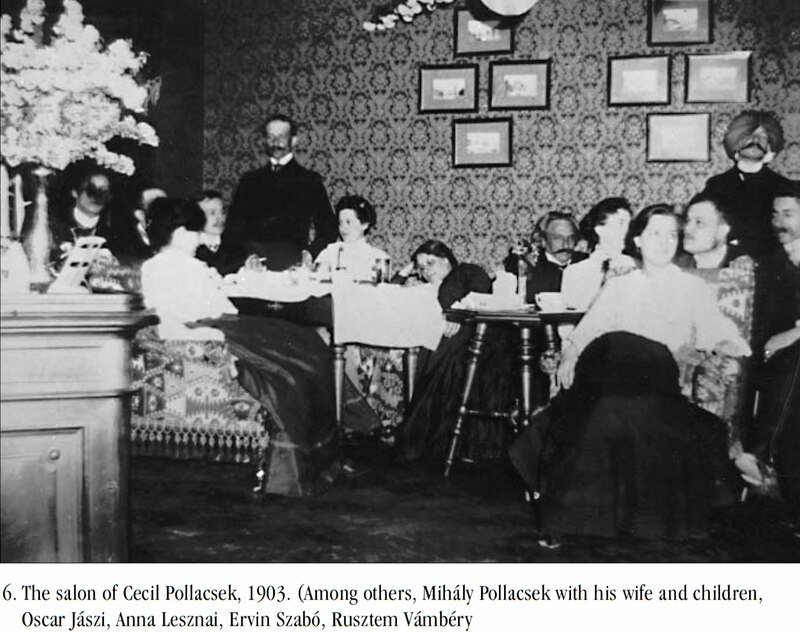 I suppose the father (Mihály) is the one just next to her, black-suited. 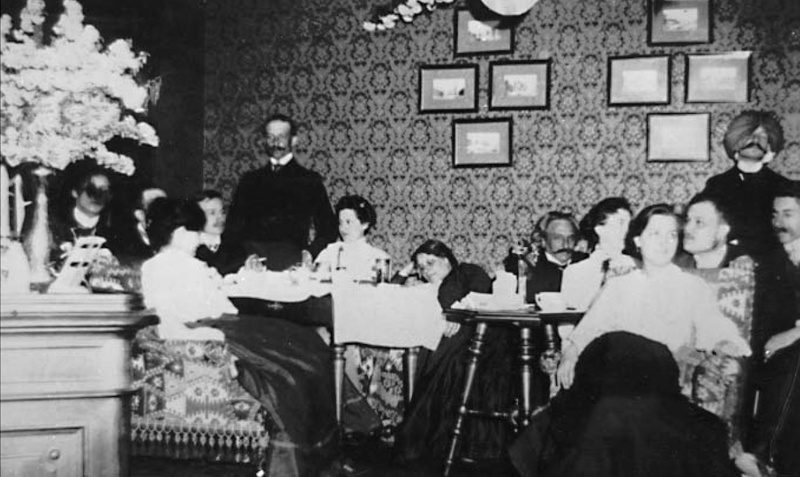 On the right, I recognize Oszkár Jászi and, on the far right of the picture, Ervin Szabó. I don’t know which of these women is Anna Lesznai, but I don’t think she is important, at least I never met her during my readings. I don’t know either where is Rusztem Vámbery (1872-1948). I wonder also who is the man above both young men which frequented this salon, standing on the right. It seems a turban, but I don’t understand what a man dressed like this would do in Budapest in the 20th century, since I don’t think Hungarian Jews wore turbans of this style. Is it simply Armin Vámbery (1832-1913, father of the (future) judge, politician and ambassador Rusztem Vámbery), orientalist that traveled months pretending being a Sunni dervish named Reshit Efendi2, then dressed on the Ottoman style? Or Rusztem himself decked out as his father? Would it be some guru or a Dönmeh, distant descendants of Jacob Frank’s followers? Eng. tr. Tim Wilkinson, Central European Budapest / University Press New Press, 535 p.
The “master of the time” (of the age) if I understand the translation. An adventurer/falsifier as Mitrinovic or Gurdjieff? Did he think of him in 1957, when he discovered Hegel’s poem “Entschluss” (in the book of his childhood friend György Lukács), which touched him? ?